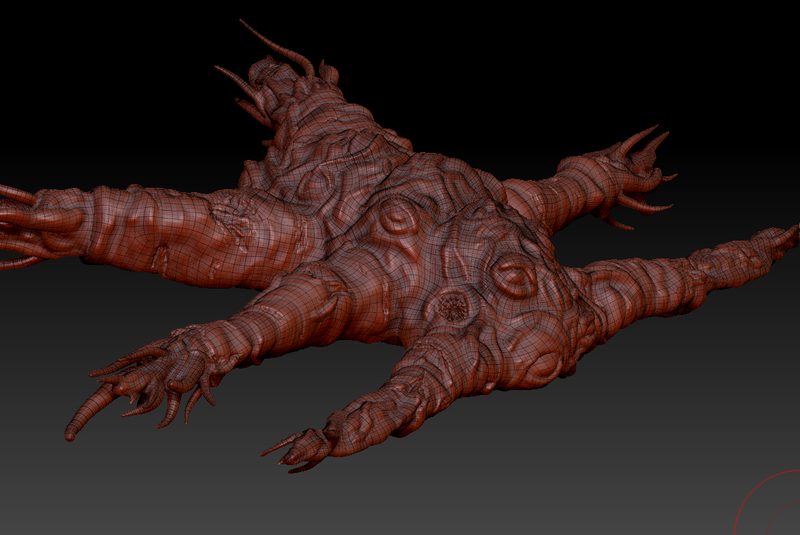 This week, my focus was on learning how to retopologize the shoggoth, add more detail to the asset list, and make some 3d assets. Summary: I learned how to retopologize an existing mesh in zbrush without loosing any detail. Positive Stuff: The process is extremely accurate and doesn’t take much time to run. Problems / issues: The topology isn’t perfect, so I’ll need to sit down and design it to fit our needs. Problems / issues: There is a lot of work to be done. There might also be things missing, so we will add any objects that come up later down the line. Summary: I modeled several objects to add to our library, including a typewriter and some pots and pans. The typewriter will be in the plane, and the pots and pans will be in the tents. Positive Stuff: The assets looks good and are catalogued. Problems / issues: The objects still need to be unwrapped and textured. I make it a habit of wagceint/listhning to TG4 as I am getting ready in the morning. It really does help to get your brain accustomed to the language. I am already understanding words in the reports!